NOTICE: This game is set in trenches in Germany, therefore it was decided to keep the feel, that the language in the game is German (letters). The language selection between Danish and English in the beginning, is ONLY for the controls. The letters scattered around in the trenches are only bonuses and adds to the feel and ambiance of the game, take a look at them if you understand German or not, because they might hold self-explanatory drawings to aid you in the game. The game was made in a single month as part of a DADIU education. Please do not expect to play the game as an FPS, because it is not an FPS. 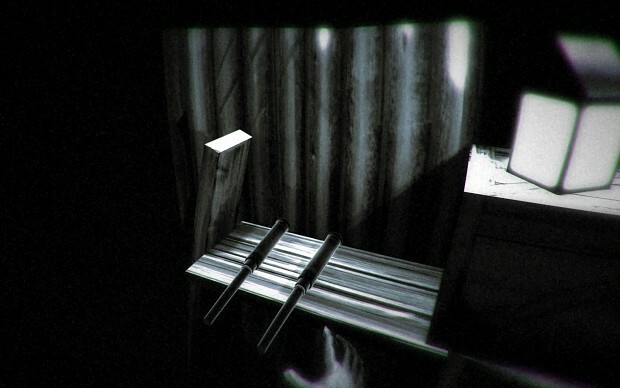 It is a First Person Avoider Survival Horror game, for Indie Gamers. Experience the horror and senselessness of war. The enemy constantly hidden in the fog ready to pounce. Fatigue and shellshock distorting your movement and ability. The stress of uncertainty and adrenaline of chase followed by attack. Here, salvation is the blinding epileptic bombardment of the battlefied. where do i find the guns ?